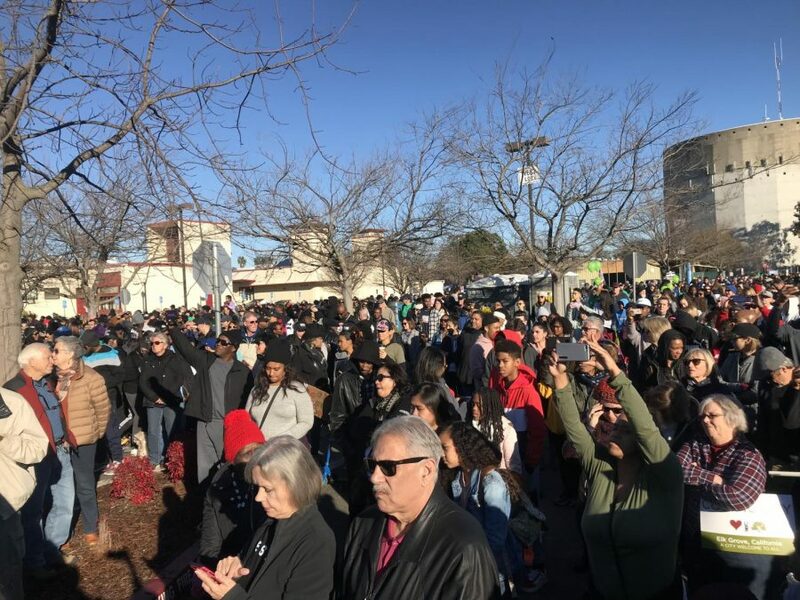 Thousands gathered at Sacramento City College for the official start of the 2019 Martin Luther King Jr March. Thousands gathered at Sacramento City College on Monday and participated in the thirty- eighth year of the Martin Luther King Jr. march. Every year, the theme of the MLK March is about honoring the past. The theme of Monday’s march was about impacting today’s future. “Today we march for our young people here in Sacramento,” said Sacramento Mayor Darrell Steinberg. 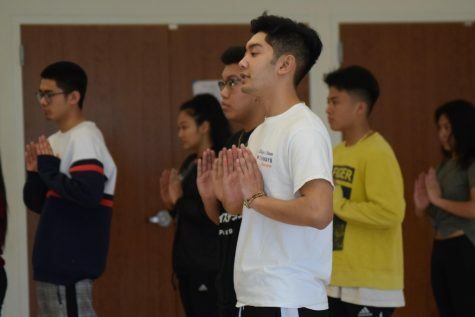 Steinberg introduced and acknowledged several assemblymen and local activists who continue to make positive strides in the community, sharing his commitment to the youth in Sacramento. Steinberg told the crowd that in the 38 years of the MLK March, he has only missed two because of the inaugurations of Barack Obama and from being sick. Gerri Higgs, one of the people in the crowd who said they have participated in the march for the past 10 years, said that they come because they still believe in Dr. King’s dream. 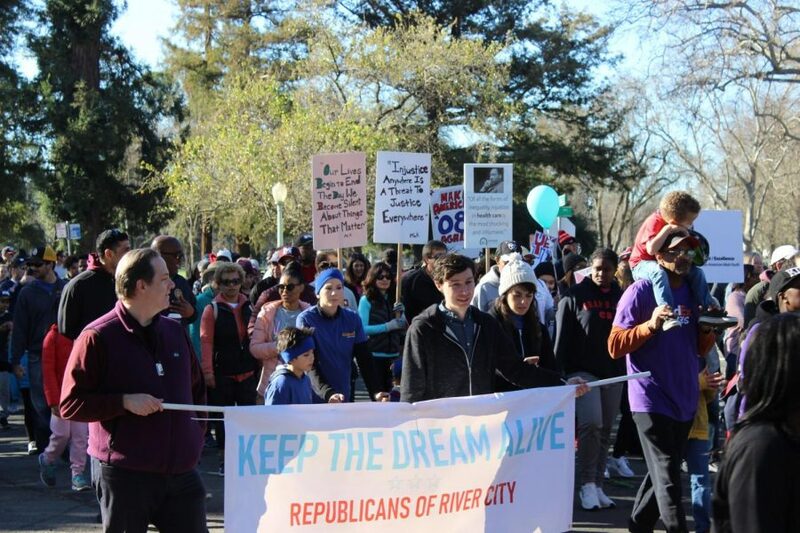 Sacramento MLK365 Executive Director Sam Starks also believes that one man’s dream for equality and justice everywhere for everyone has progressed over time. “Somewhere there is a woman who is a CEO of a company, somewhere there is someone who is disabled leading an organization, somewhere there is a transgender, gay or lesbian CEO,” said Starks. Starks stressed to the crowd that the people have made movement and people have died, adding that he honors their legacy of sacrifice. While the majority of the three-mile march was peaceful, with hundreds of people singing and cheering the whole way, the mood slightly changed at the tail end as the crowd approached the Sacramento Convention Center. Sacramento’s Black Lives Matter protestors were passing through in their own march just as MLK365 was coming to an end. Starks approached the now larger crowd in an attempt to unite the two groups. Sacramento BLM founder Tanya Faison also joined Starks on stage shortly after. “We might dance differently but we’ve got the same song and that song is love and justice and freedom for everybody,” Starks said.